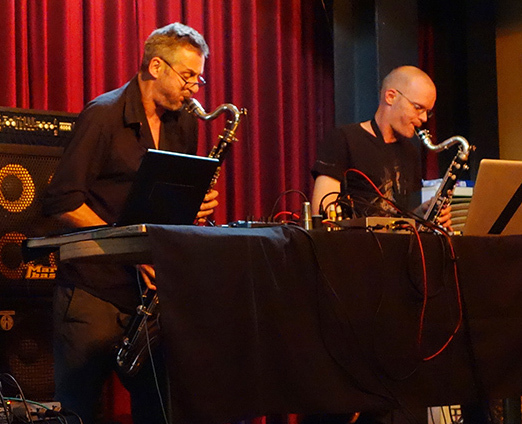 • DEER startet in 2011 as trio and is at present the duo Christian Müller & Silber Ingold – bass clarinets & electronics. The band explores the miscellaneous sound colours of the bass clarinet and the different manners of playing it. Equipped with all kinds of electronic devices and effects, the three musicians take a close look at the sound and search for new depth in the interaction of the acoustic tone and the electronic way of examining it. In extension of the conceptual approach the trio also allows elements of improvisation in its play, thus connecting strictness with interacting freshness and stylistic playfulness. 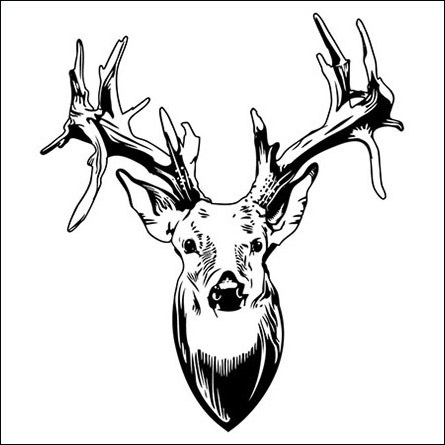 In winter 2015 the line up of DEER has changed from a trio with Hans Koch to a duo: the bass clarinet players Christian Müller and Silber Ingold, two prominent heads of the experimental music scene of Biel, Switzerland. 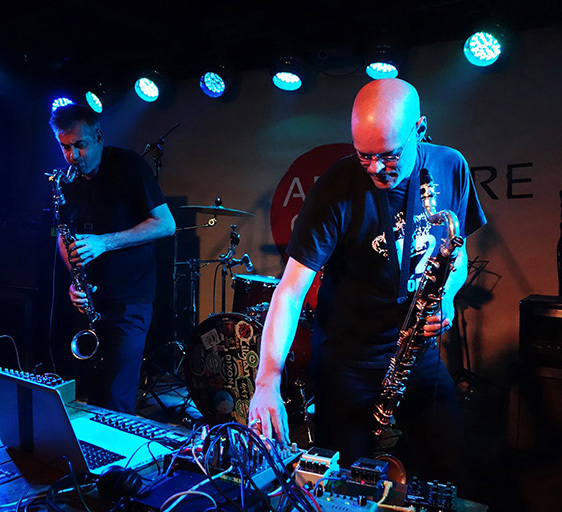 Their playful interest in electro-acoustic experiments is not only leading to filigree sound architecture, but also to heavy and dark soundscapes.